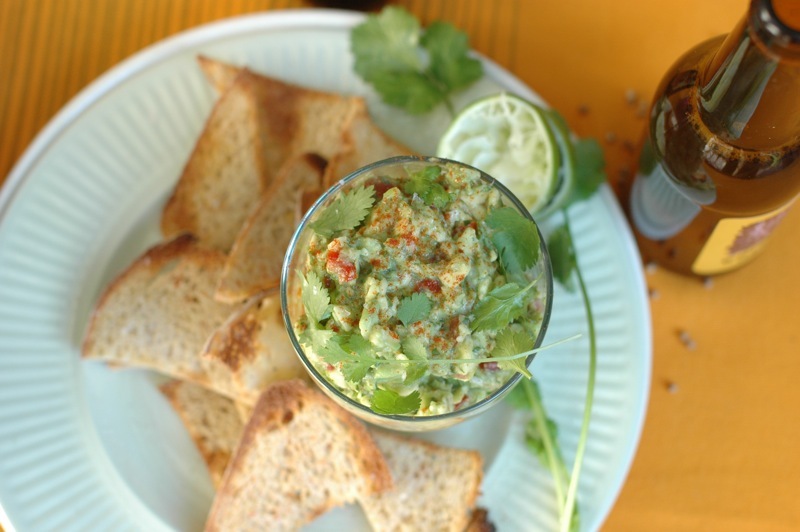 Spiced with jalapeno and coriander, bursting with tomato and coriander and bound with a generous squeeze of lime juice guacamole makes a quintessentially fresh summer dip. Serve with corn chips or triangles of toasted flat bread in the sunshine, and adjust the chilli content to suit your taste. As a key condiment in Mexican cuisine guacamole is also fabulous with burritos, tacos and enchiladas. 1. 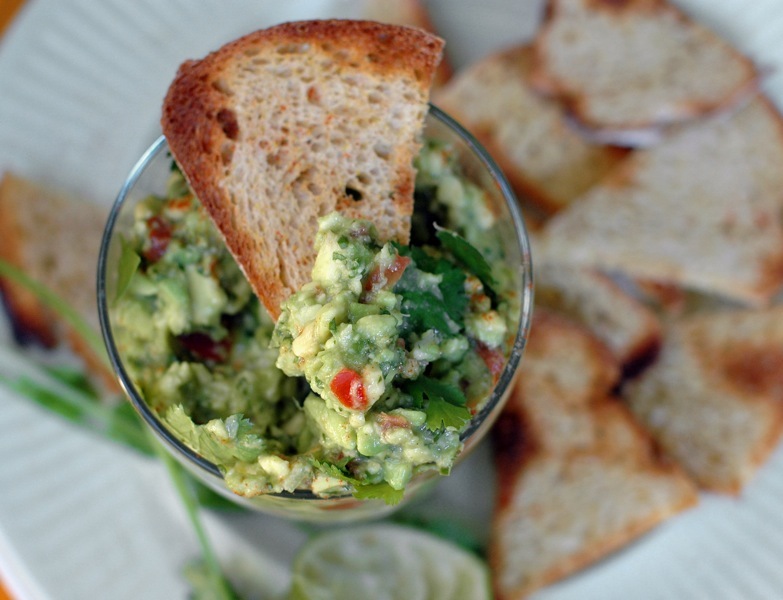 Scoop avocado flesh into bowl and add lime juice, ground coriander, salt and pepper. Use a small knife to cut the avocado into tiny chunks or mash with a fork if you prefer a smoother texture. 2. Fold in the remaining ingredients then taste and adjust seasoning. Garnish with coriander and paprika.